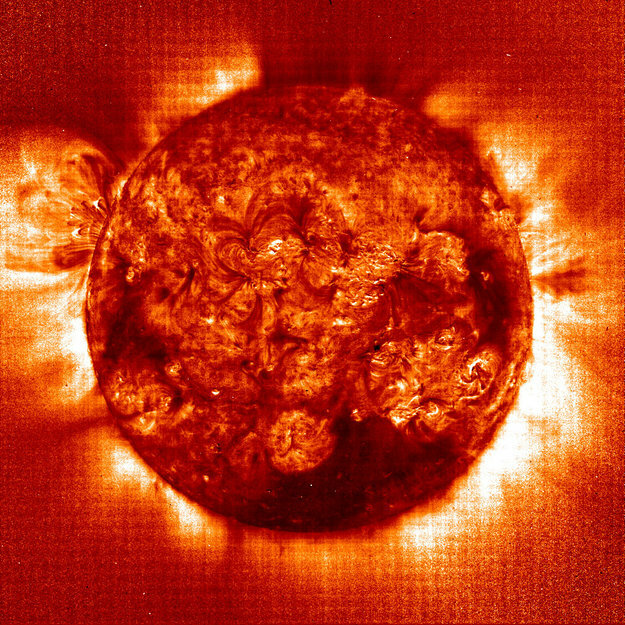 The source of most of Space Weather perturbations can be directly linked to solar activity. Various solar phenomena and their manifestations in the solar wind need to be monitored in order to produce realistic Space Weather predictions. Solar flares, coronal mass ejections and coronal holes are all known to create space weather disturbances under certain conditions which can then in turn affect users' systems. Phenomena such as these are ultimately driven by the Sun's magnetic field and are therefore regulated by the 11-year solar activity cycle, which is most obviously manifest in the sunspot cycle. High-quality data and state of the art computer modelling are essential tools to understand the processes and causality involved. This is greatly complicated by the fact that the near-Sun and near-Earth regions are rather better studied and understood than the ~150 million km of space in between them. Space radiation refers to high-energy ionized particles of different origin present in space and affecting spacecraft, components and biological systems. It covers mainly the galactic cosmic ray (GCR) background, solar energetic particle (SEP) events and the Earth's trapped radiation belts. GCRs originate from outside the Solar System and are composed of high-energy protons, alpha particles and heavier nuclei. Their flux is constant and modulated by solar activity. GCRs are a threat to spacecraft electronics and astronauts on interplanetary missions. Life on Earth is protected from GCRs by the Earth's magnetic field and atmosphere. However GCRs could be a health concern for aircraft crew flying regularly at high altitudes and latitudes. 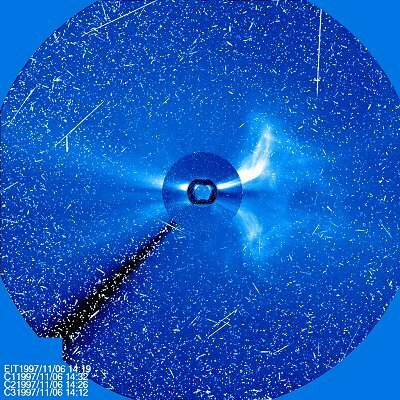 SEPs consist primarily of protons and electrons accelerated by solar flares or interplanetary shock waves associated with coronal mass ejections. Their intensity and occurrence are difficult to predict. SEPs cause similar damage as GCRs. They are also a threat for astronauts during extravehicular activity (EVA) and a source of solar panel degradation. Trapped radiation belts surround planets with a substantial magnetic field, such as Earth or Jupiter. The radiation belts are composed mostly of protons and electrons. The dose deposition and non-ionizing energy loss caused by the radiation belt population interacting with spacecraft materials generate degradation in solar panel and other spacecraft components. Ionospheric Space Weather effects can adversely degrade the performance of radio systems in communication, space based navigation and remote sensing. Thus, navigation signals transmitted by Global Navigation Satellite Systems (GNSS) – such as GPS or the European system Galileo – travelling through the ionosphere are delayed, refracted and diffracted by the highly variable ionospheric plasma. Since performance parameters such as accuracy, availability, continuity and integrity of GNSS signals are crucial in safety of life and precise positioning applications, detection, monitoring and prediction of ionospheric effects are important for mitigating the their impact. On the one hand the ionosphere depends on Space Weather effects and by itself contributes to Space Weather conditions. On the other, this provides a unique opportunity by using dual frequency GNSS measurements to derive robust and accurate information on the ionospheric state under quiet and perturbed Space Weather conditions. This integrated, information-based approach benefits the operation of space based systems within communication, navigation and remote sensing. The Earth's magnetic field exhibits variations on a wide range of time scales: slow variation over years and centuries, regular diurnal variations, magnetic storms with violent, rapid and irregular fluctuations, and tiny pulsations with periods of a fraction of a second. Typically, magnetic storms go through a sequence of phases which altogether last for several days. They are observed globally, but are particularly strong in the Polar Regions, eg. northwest Russia, Finland, Scandinavia, Iceland and Greenland. In addition, major and severe storms can be detected in central Europe. Geomagnetic storms represent the terrestrial end of the Space Weather chain starting at the Sun, and propagating through interplanetary space. 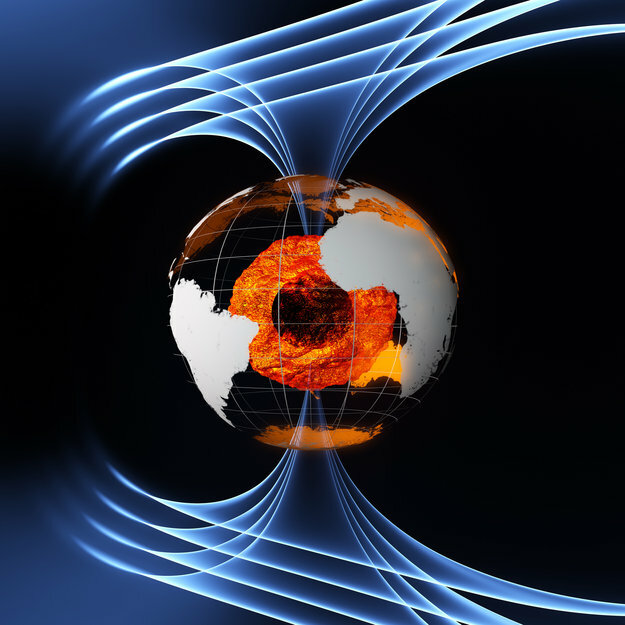 Upon approaching the Earth the terrestrial magnetosphere is perturbed, subsequently generating magnetic fields observed at the ground as magnetic storms. These disturbances induce electric fields in the ground which in turn drive electric currents potentially harmful to technical installations such as power grids and long pipelines. Monitoring the geomagnetic storm evolution can be done from a range of space and ground based vantage points. 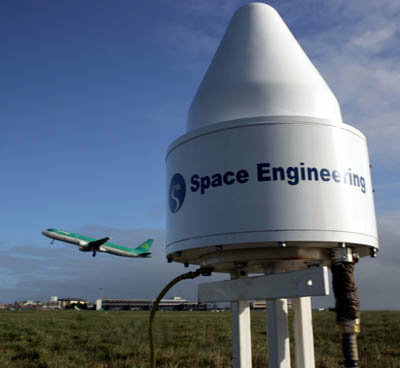 Ground based magnetometer stations provide a valuable contribution here owing to a large number of stations in Europe operating with continuous recording. Data from these stations are important for monitoring harmful effect at the ground, but equally important, they also form an indispensable part of the information needed to describe the state of the ionosphere and magnetosphere, and therefore complete the overall Space Weather picture. Heliospheric Weather encompasses the effects of the solar wind, including the transient structures therein, as they propagate out from the Sun's corona through the heliosphere. This includes heliospheric effects that directly influence the Earth and also other locations within the heliosphere that may be relevant to interplanetary exploration missions. The fundamental structure of the heliosphere is governed by the Sun's magnetic structure and solar wind outflows. The solar wind can be simplistically described as comprising a radially-expanding, quasi-static background through which propagate immense plasma/magnetic field transients, termed Coronal Mass Ejections (CME) that have been ejected from the Sun. The origin of the background solar wind leads to its delineation into regions of high- and slow-speed solar wind, along the interfaces of which can form extensive swathes of compressed plasma/magnetic field known as Stream Interaction Regions and Co-rotating Interaction Regions (CIR) interaction regions that endure for multiple solar rotations. Alongside, but associated with, these bulk plasma phenomena are high-energy particle populations known as Solar Energetic Particle (SEP) events that originate either through energisation processes occurring at the site of solar flares or at interplanetary shocks. 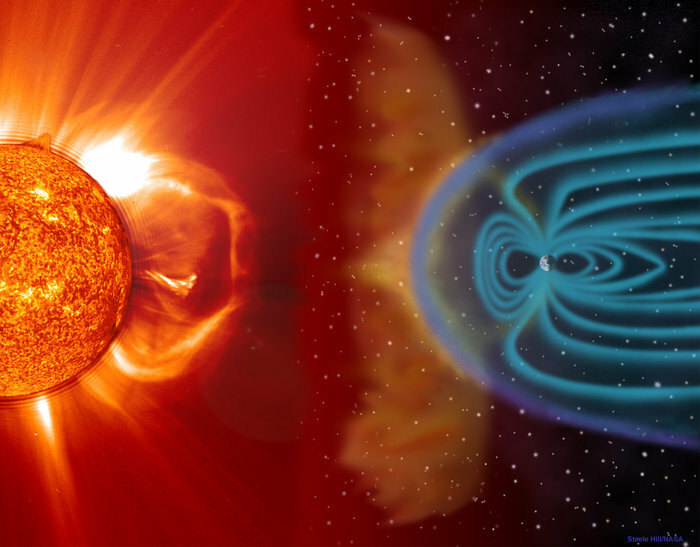 While CMEs are considered to be the quintessential driver of space weather effects being associated, for example, with the vast majority of intense magnetic storms, the potentially deleterious effects of CIRs and SEPs are also well known. The ability to characterise, monitor and forecast all of these features is of critical importance in understanding, mitigating and responding to the impacts of space weather events.